Despite its close association with the Caribbean, the earliest versions of rum were actually produced in southern Asia. However, the category really took shape on the islands and here we’ll consider those delicious beginnings. Derived from sugarcane, a tall, fibrous grass brought to the Americas by Christopher Columbus, rum was discovered by accident by plantation slaves in the 1600s. They spotted that molasses, a waste product from the sugar refining process, would start to ferment when left out in the warm tropical air. Molasses produced in the Caribbean was shipped to New England and distilled into rum. It wasn’t long before rum production took off in the tropics and its popularity began to spread to Colonial America and beyond. Before the American Revolution, rum was considered the national drink of America, with records showing a consumption of around 14 litres per person each year! But this would all change with the introduction of the Sugar Act in 1764, when the British imposed huge taxes on sugar and molasses which hit Caribbean distilleries hard and ultimately led to the American Revolution. By the mid-1800s, trade restrictions and rising prices, spurned by a burgeoning American whiskey industry, saw rum gradually fall out of favour. Thankfully, though, rum’s story didn’t end there. 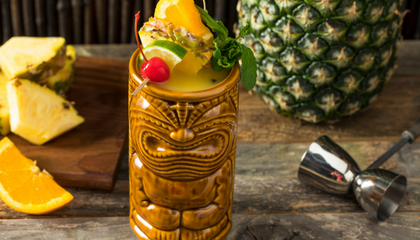 After the repeal of Prohibition in 1933, rum needed a way back into the hearts of the American public and the industry soared with the rise of Tiki cocktail culture. A young Texan bootlegger sailed throughout the South Pacific and was inspired to launch the infamous Don’s Beachcomber in Hollywood, offering Cantonese cuisine and exotic rum punches to a backdrop of flaming torches and rattan furniture. The golden age of rum cocktails began, yielding classics such as the Mai Tai and the Fogcutter which are still found in bars across the world today. 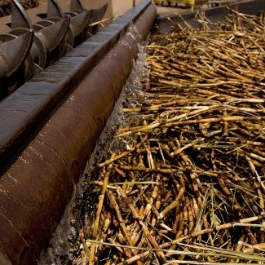 Rum is made from sugarcane by-products such as molasses, sugarcane syrup or sugarcane juice, by a process of fermentation and distillation. Light rums are usually distilled in a continuous still, whereas heavy rums tend to use a pot still. After distillation, rum can be aged anywhere in the world. 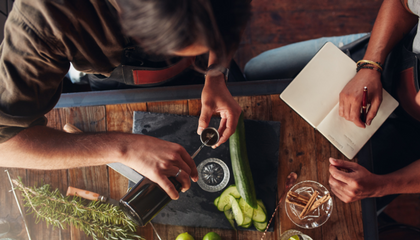 There are a number of factors that affect the taste and characteristics of rum, including the raw materials used, the methods of fermentation and distillation, the aging period and even the quality of water used to dilute the final product. One of the biggest influences on a rum’s final taste and quality is blending. Any given bottle might be the result of several different rums skilfully blended together by a master blender. This process takes years of training, and techniques are passed down from generation to generation to keep with tradition and to reinforce the brand identity of particular rum companies. French Rum (rhum agricole) – French islands such as Martinique, Guadalupe and Haiti produce rhum agricole by distilling a ferment of sugar cane juice, rather than molasses. Rhum agricole is fresh and lively on the nose due to the large content of esters – heavy flavour congeners within the spirit produced from the pot distillation of the sugar cane juice which give the liquid its distinctive cooked banana and pineapple smell. English Rum – Former English colonies have a particularly heavy, molasses-influenced flavour to their rums, which tend to have a higher percentage of pot-distilled rums than other countries. Popular brands, like Captain Morgan, draw from a rich history of ingredients and trade between England and the Caribbean. Rums from Jamaica, Trinidad and Guyana were blended together to produce the Royal Navy ‘tot’, with the rum itself blended in Bristol. Spanish Rum – Spanish rums are produced in countries such as Venezuela, Cuba, Puerto Rico and Guatemala are typically light and more floral than their molasses-heavy brothers from the English Islands, but this wasn’t always the case. The introduction of the column still cemented this lighter style and allowed the Spanish style to overtake the heavier British styles in the 20th Century. This lighter distillate coupled with the required ageing in oak barrels softens the rum and develops very approachable soft fruit flavours. Spanish-style rums use Spanish terminology, such as añejo, to describe their different styles, and many have adopted traditional Spanish production methods, such as the sherry solera ageing system used by Zacapa in Guatemala. This, however, results in not a very typical or traditional ‘Spanish-style’ rum with warm, oak spice notes in a heavier style. Brazilian ‘Rum’ (Cachaça) – One of the earliest cane-based distillates, with the earliest records of Cachaça coming from Bahia in northern Brazil in 1610. 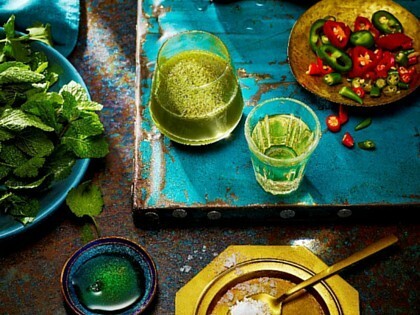 Most Cachaça consumed around the world is mixed with crushed lime and sugar in the form of a Caipirinha, and there is perhaps no other spirit so intrinsically linked to a particular cocktail. 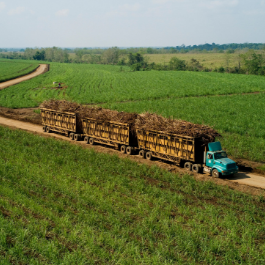 More than two billion litres of cachaça are produced in Brazil every year – roughly 11 litres per person! Classic spiced and dark rums taking their name from the intrepid 17th century buccaneer. 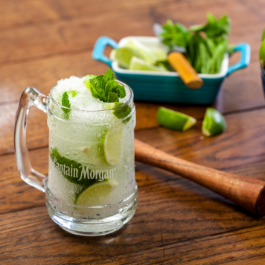 Today Captain Morgan is one of the world's best-selling rums. 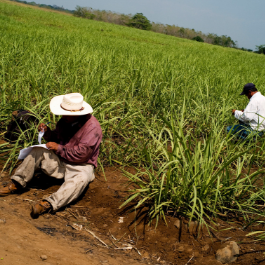 Produced in Venezuela: Pampero is intense, sweet and spicy, with a delicious, long, lingering finish. 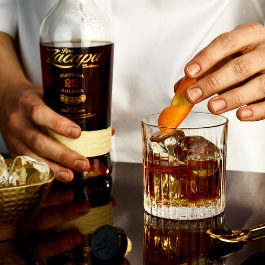 Zacapa is crafted at 2,300 metres above sea level in the Guatemalan highlands to develop subtle, spiced flavours of delicious, raisined fruit. 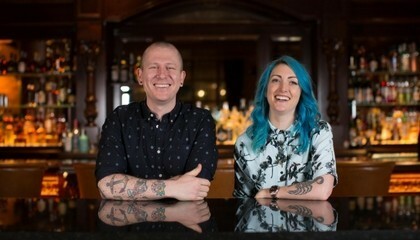 Iain Griffiths and Kelsey Ramage tell us how they have taken the Trash Tiki concept around the world. 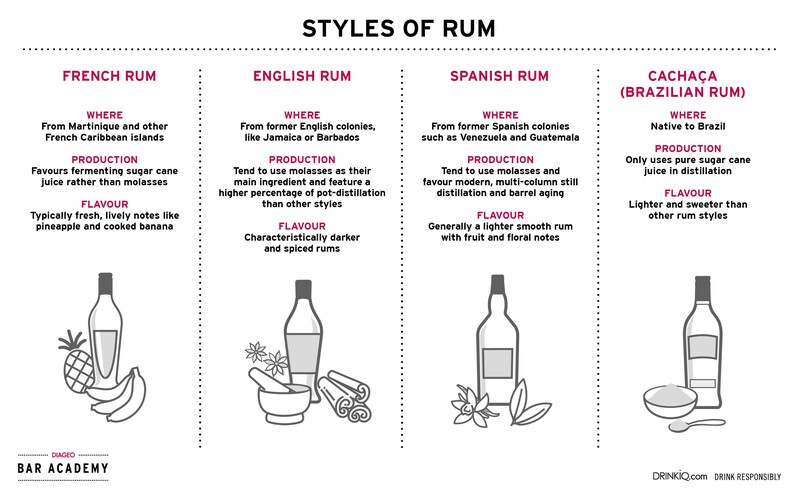 Leading Global Rum Ambassador, Ian Burrell, talks all things rum and how to use it in your bar. Dre Masso, talks about the importance of using locally sourced ingredients and the world of waste-free cocktails. Here are some top tips on how to prevent the waste of time, stock and ultimately profits.